Melissa does a good job of including a wide variety of items you can make for your home or as gifts. 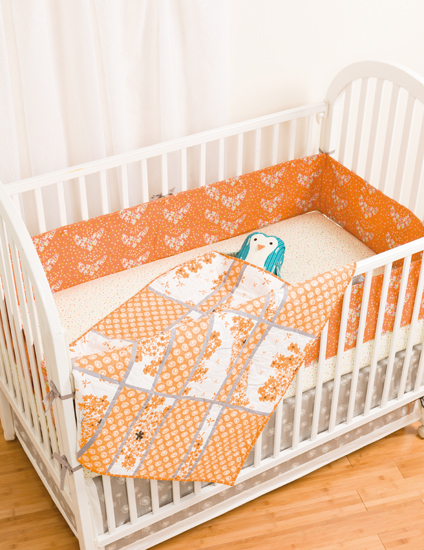 Not only are there patterns for quilts, but also placemats, napkins, a table runner, plushie toys for kids, and a crib set to include fitted crib sheets… and more! 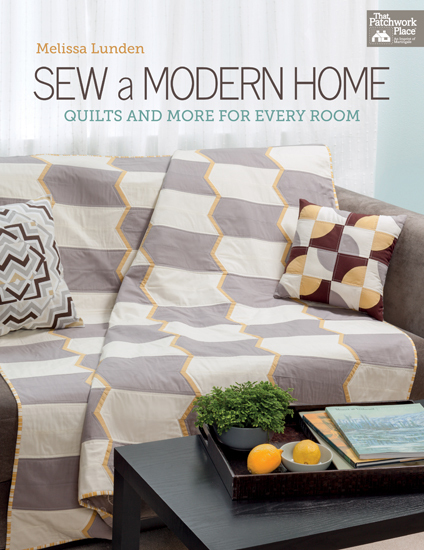 I think my favorite quilt in this book is this next one. I like the clean, straight lines. They look a bit curved to me, but I think that is just the quilting, which gives it movement. In this crib set, you will get directions for how to make the baby quilt, the bumper bad, and the fitted sheet. Cool, huh! 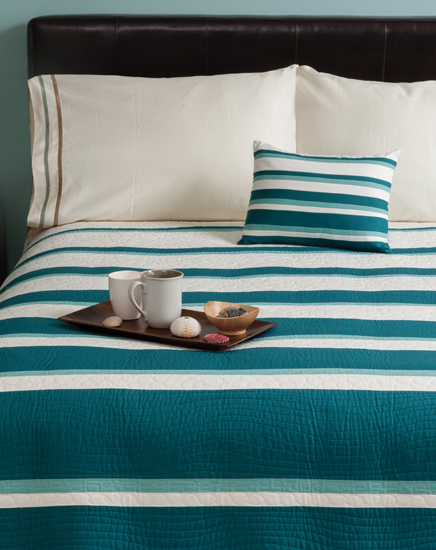 Plus, see that turquoise penguin under the quilt? She gives directions for how to make it as well. You can’t see it in the picture below, but Melissa has directions on how to make the napkins with a pocket to hold the eating utensils. 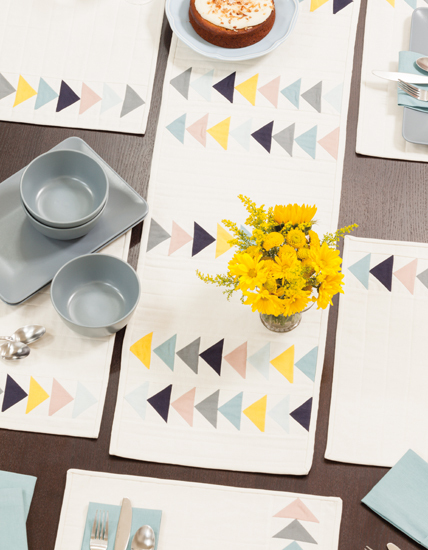 The napkin’s have a triangle (flying geese) on them to match the placemats and table runner. If you would like to see more about this book you can go to Martingale’s website here.